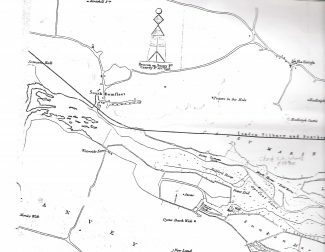 Beneath the downs in Hadleigh Ray on an Admiralty chart of 1838, corrected to 1863, of the lower Thames, is marked a dock. It was known as Pyenetts Dock. The dock is not shown on OS maps of 1805 or later ones of the 1897-8 period; however, the new Salvation Army facility, Booth’s Wharf, was marked on OS maps by the end of that century. 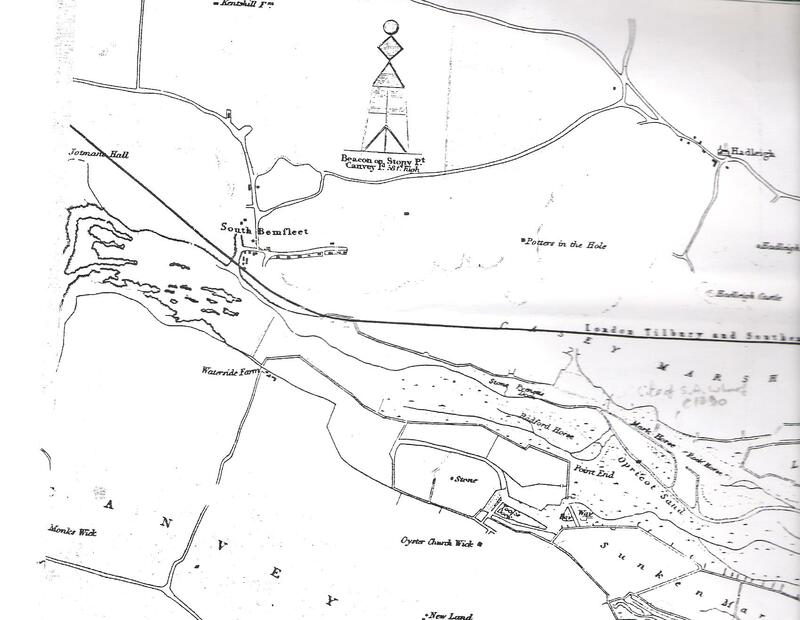 The chart does not detail the land other than buildings/high points that could be used for navigational purposes, however, the 1897-8 OS map shows a pathway leading inland, across the marshes (by then enclosed) and on up-hill to a building marked as Paynetts – a farm, perhaps? Note name similarities, or was one a spelling corruption? I would be very interested indeed to garner more information about this dock, even see an old print/picture perhaps. Can anyone help? Location-wise, the dock seems to have been in the vicinity of the point at which power cables/pipe lines cross the creek to Canvey Island, where the wall is heavily clad a little to the west of General Booth’s wharf remains. The rill running into the marshes – shown on the 1863 chart section – can still be seen, especially in wet conditions and its sea wall remains still exist on the low land between the sea wall and railway line at that point.